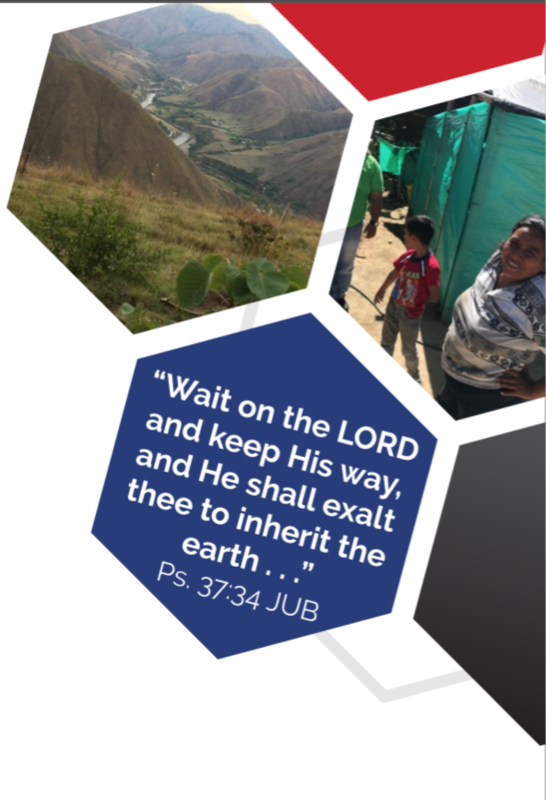 In the previous newsletter, we mentioned a new and great opportunity we have to help another Christian Paez displaced community located in Huila. 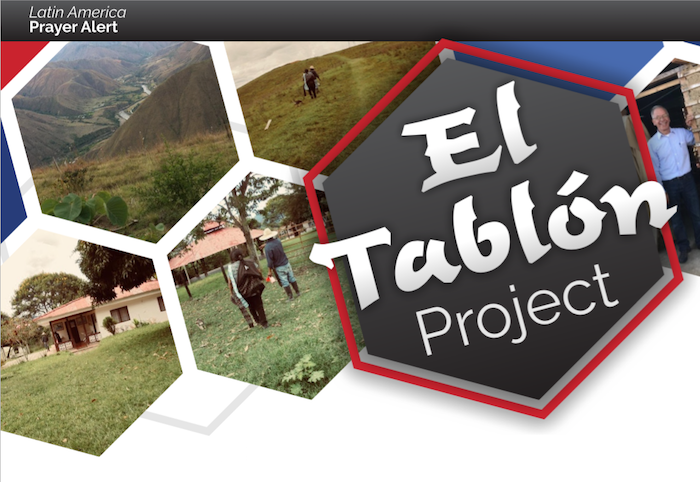 This project is called El Tablón and it will be our second big project with a community for persecuted Paez Christians. El Tablón farmland has 75 hectares (185.32 acres), of which 33 hectares (81.54 acres) is a productive and viable property. In the middle of this land, there is a farm with a beautiful view of the frontier of Cauca and Huila, two very conflictive regions of Colombia. There is a large house and a big kiosk, which has not been used in years. Terrorists killed the husband, an honorable man from the area, while he was doing humanitarian work. The widow, who now owns the land, is the only person with legal rights and documents in the entire area and together with her only son (heir to the farm), have been trying to sell the entire property for years. Our Paez friends are located nearby where they grow coffee from a precipice. The Voice of the Martyrs’ Canadian office and our Canadian charity Colombia Para Cristo Society have been persevering to acquire a piece of land to relocate the Paez community from the dangerous precipice, however we only had 8% of the down payment for the entire property. Just when we thought there was nothing more we could do, we received a phone call from the widow and owner of the El Tablón farm. A meeting followed with the woman in Bogota to figure out a way to help the persecuted Paez community. The LORD certainly made a way, where there was no way. I’m not sure if she was moved after seeing the photos of the development of the project in Cauca or when she listened to the testimony of Kelly, who’s husband was also tragically killed, but for sure the LORD touched this women’s heart to help us in a way we were not expecting! She agreed to sell us as much of the land as we could pay with the designated funds and also rent the rest of the farm for an incredible price! With the funds we currently have, we will be able to acquire at least 4-5 hectares to relocate the more than 30 families which is almost the same area we have operating in Cauca with excellent results. We started with only 8% of the original asking price and were faithful with what we had and the LORD increasingly multiplied our efforts. The Paez are planning to use the house for the school and the kiosk for meetings. We hope to purchase more land, as the LORD provides. God willing we will be signing the contract for the El Tablón farmland by the first week of June 2018. Please pray for this process and the LORD’s favor in making El Tablón farmland into a Christian Paez community, a reality! Pray for the Paez community and for provision of extra funds to set up the processing for the water treatment system, enough wood for the new house and for self-sustaining agricultural and farming supplies. Please pray for the next President of Colombia who God could use to penetrate the enemy areas. Pray for God’s people to bring forth light into the shadows of the hostile areas. We also request prayer for Bibles, Christian materials and radio equipment for the people of Cauca and Huila. We encourage you to read Psalm 37 in its entirety.